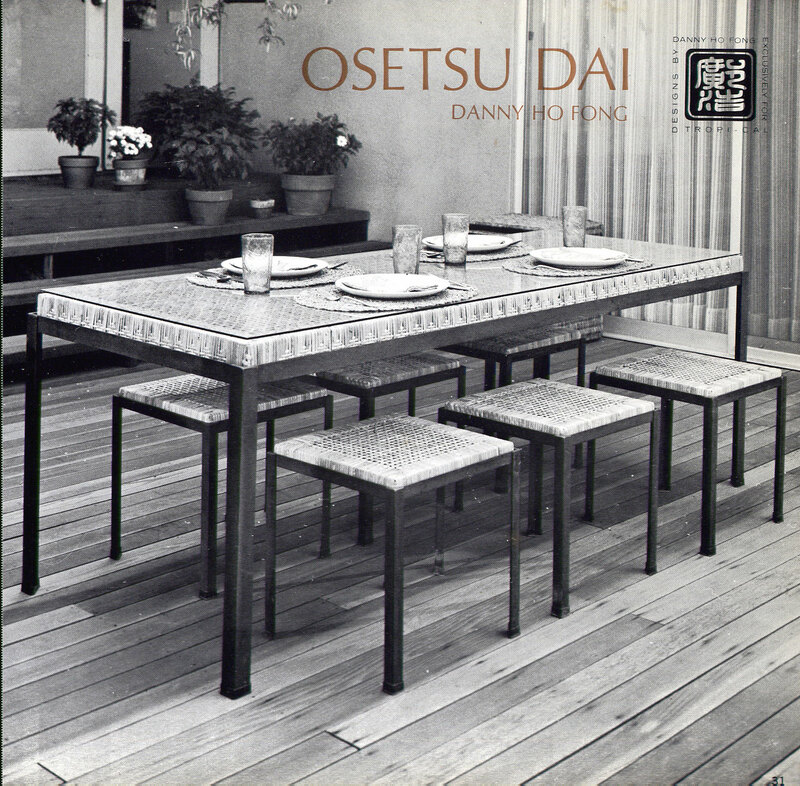 The Osetsu Dai is shown in a casual 1960s outdoor patio setting typical of California’s mid-century style. An updated version of this classic design has an upholstered seat cushion in lieu of the woven cane. Reproductions are handcrafted and made to order. View all the Vintage Fong throwback photos.